alaTest has collected and analyzed 209 reviews of Panasonic TH-42 PZ 800 E. The average rating for this product is 4.6/5, compared to an average rating of 4.3/5 for other products in the same category for all reviews. We analyzed user and expert ratings, product age and more factors. Compared to other products in the same category the Panasonic TH-42 PZ 800 E is awarded an overall alaScore™ of 89/100 = Very good quality. 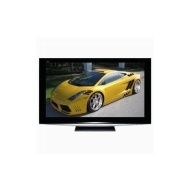 alaTest has collected and analyzed 27 user reviews of Panasonic TH-42 PZ 800 E from Amazon.co.uk. The average user rating for this product is 4.4/5, compared to an average user rating of 4.3/5 for other products in the same category on Amazon.co.uk. alaTest has collected and analyzed 75 user reviews of Panasonic TH-42 PZ 800 E from Amazon.com. The average user rating for this product is 4.8/5, compared to an average user rating of 4.1/5 for other products in the same category on Amazon.com. 99% of the reviews on Amazon.com give this product a positive rating. Panasonic's current lineup of plasma televisions is remarkably affordable compared with plasma sets of a few years ago. At $31 per diagonal inch, the new TC-P42G10 is far cheaper than even Panasonic envisioned in the caviar days of flat panels. Another great plasma from Panasonic. The TH-42PZ800A produces a great picture with some of the best blacks we've seen; it only suffers from a few niggling issues. panasonic th-42pz800a review: If sport or movies are your aim then plasma is still the king, and the Panasonic TH-42PZ800A offers a great picture for a great price. Exceptional performance, at a price ..